Steve has specialized in representing public agencies on a diverse and challenging variety of issues. 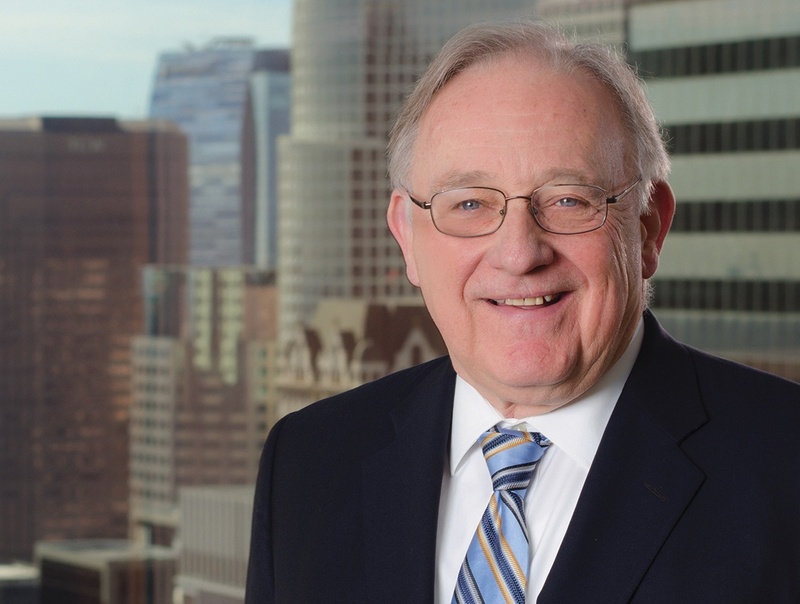 In his more than 40 years with Richards, Watson and Gershon, he is familiar with virtually any legal issue that a city or other local government may encounter. Steve has served as City Attorney for the Cities of Buena Park, Cudahy, Norwalk, Rancho Palos Verdes, San Marino and South El Monte. He has also served as special counsel in the areas conflicts of interest and public works. Steve has also represented many joint power authorities and currently represents the I-5 Consortium of Cities, the Gateway Water Management Authority, and the Southeast Water Coalition. Steve is very active in the League of California Cities and has served as a member of the League's Board of Directors. He also has been President of the City Attorneys’ Department, Chair of the Department’s Legal Advocacy Committee, a member of the Department’s Legislative Committee and Chair of the City Attorneys’ Department Fair Political Practices Commission Committee. Steve’s practice emphasizes representation of public agencies on conflict of interests and ethics issues. Steve has lectured on legal ethics and conflict of interest issues on numerous occasions. He presented a paper on Government Code Section 1090 entitled When in Doubt Sit it Out, at the City Attorneys Department Spring Conference on May 4, 2011, and another at the City Attorneys Department Spring Meeting in 2015 entitled Avoiding Conflicts and Protecting Confidences When Representing Multiple Local Government Officials, Bodies and Entities. Steve also has given a series of presentations to local government organizations with members of the Los Angeles County District Attorney’s Public Integrity Division. Steve has authored numerous publications, especially in the area of conflict of interest and ethics. While Steve was President of the City Attorney’s Department, the Department established the committee that wrote the first edition of the League’s Municipal Law Handbook, and personally edited the chapters on Public Property, Public Works and Public Utilities. Steve was also a member of the City Attorneys’ Department committee that authored Practicing Ethics: A Handbook for Municipal Lawyers and chaired the committee that updated this publication in 2014. He also served on the committee that recently revised the League’s Providing Conflict of Interest Advice. Previously, he also chaired the committee that drafted the Ethical Principles for City Attorneys. Steve was also a member of the City Attorneys’ Department committee that authored Practicing Ethics: A Handbook for Municipal Lawyers and chaired the committee that updated this publication in 2014. Previously, he chaired the committee that drafted the Ethical Principles for City Attorneys. Steve wrote an article entitled Make Contracts Stick, for the September edition of the League of California Cities publication Western City. The article discussed the various laws and case precedents determining the procedures cities need to take to ensure their contracts are enforceable.